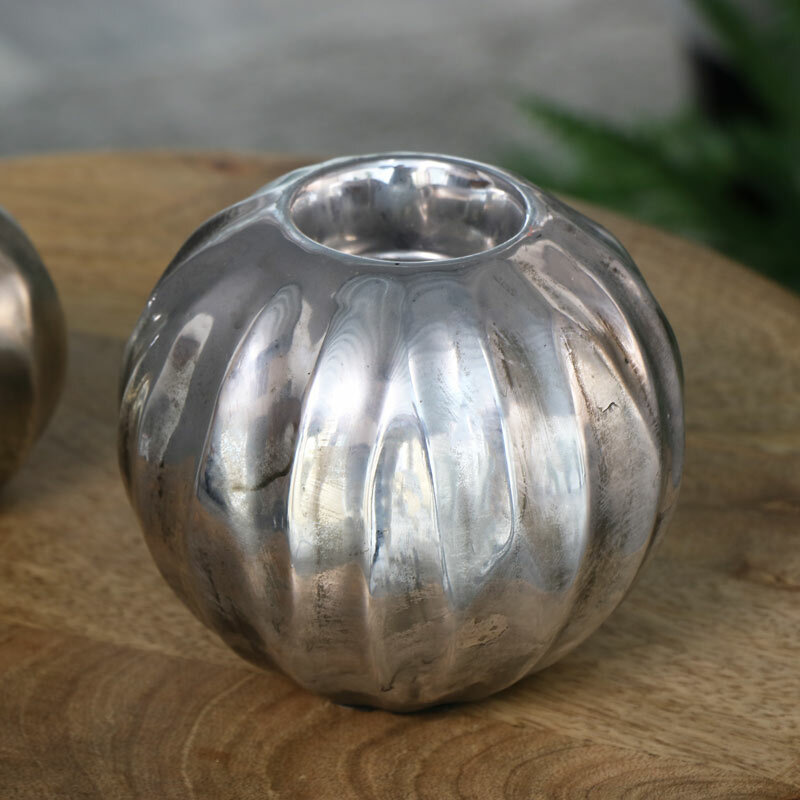 Metallic Silver Tealight Holders - Decorative home decor accessories for the modern, contemporary styled home or wedding display. In set of 2, large and small, each holds a single tealight candle. Decorative shaping with slight distressed effect make these perfect for adding a fashionable and trendy look to any room. With a great choice in tealight, candle holders and candelabras in a variety of sizes to suit every interior style. 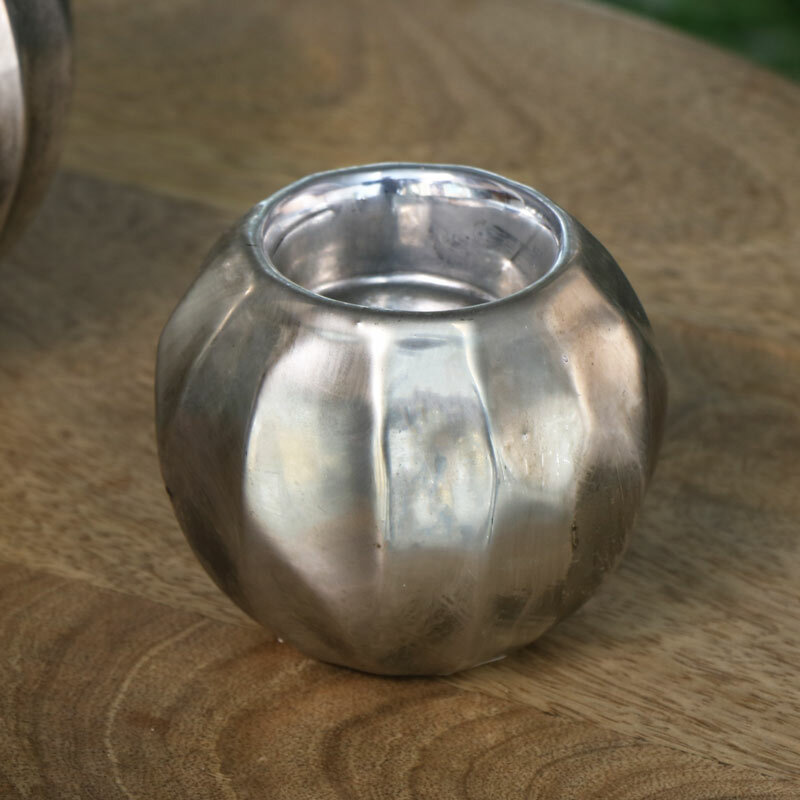 Metallic Silver Tealight Holders - Decorative home decor accessories for the modern, contemporary styled home or wedding display. In set of 2, large and small, each holds a single tealight candle. Decorative shaping with slight distressed effect make these perfect for adding a fashionable and trendy look to any room. With a great choice in tealight, candle holders and candelabras in a variety of sizes to suit every interior style. 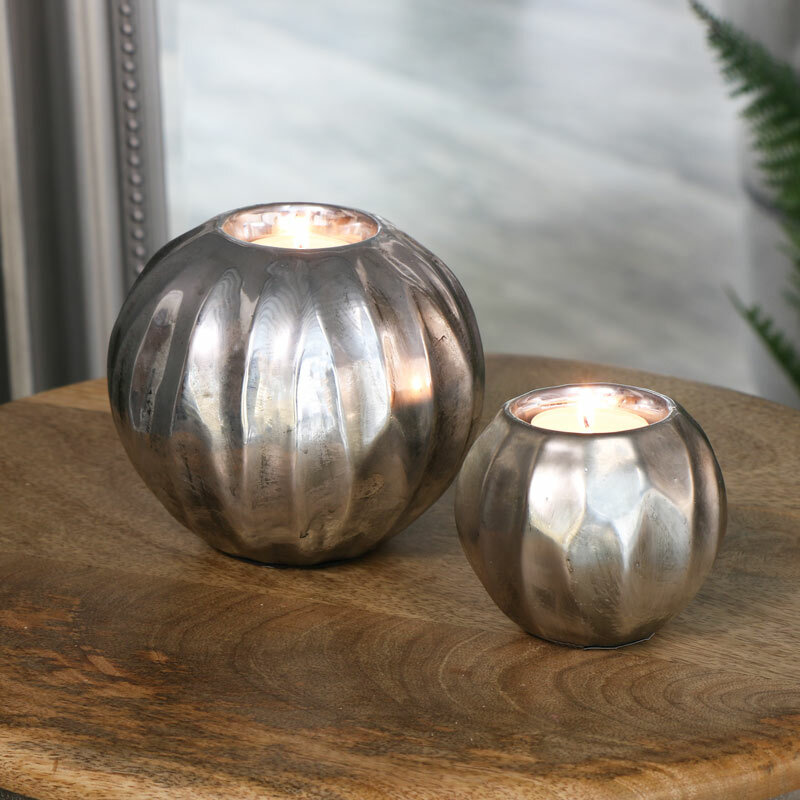 Ceramic tealight holders in a distressed metallic silver finish (candles not included). We have a fantastic selection of gifts and home accessories to suit every occasion.